Login using your new username and password (you need to keep your username and password secure). Browse our online catalogue and locate the paper(s) you wish to buy. Please supply a valid email address with your order, so you can receive email updates on the status of your order and gain access to our support site for updates and other customer support. Please indicate if you wish to receive MS Word or PDF versions of your papers. ALL PAPERS will be shipped as download items from our web site. Customers without an email address associated with their account will receive a download code as part of their invoice/licence documentation. This documentation will be posted via first class mail if you do not supply an . We will continue to accept orders from customers placed by email but these orders must include a valid SQA Centre Number and be placed from a school/college email domain. For security reasons it is no longer possible to accept Hotmail or other non-school/college domain web mail services. Also, please note that we no longer ship papers as email attachments - electronic delivery of papers is now via this web site. All orders placed via email will be entered into our web store and update emails will be sent to you indicating the progress of your order. All papers will be shipped as download items from our web site. Customers without an email address associated with their account will receive a download code as part of their invoice/licence documentation. This documentation will be posted via first class mail. 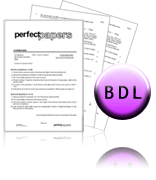 These fully editable files allow you to make any changes you wish to the content. This format includes full question paper and marking guidelines (with suggested grade boundaries/mark thresholds). For modern language subjects MP3 files of the listening audio are also included. This format includes full question paper and marking guidelines (with suggested grade boundaries/mark thresholds). For modern language subjects MP3 files of the listening audio are also included. Once all the required papers are in your shopping Basket proceed to the checkout. Enter you address details - this is normally your school. For all orders we prepare an invoice which we send to your invoice email address AND make available for you to download online. As part of our strict security precautions we insist that you enter your centre's SQA Number. This verifies that you are an SQA presenting centre. 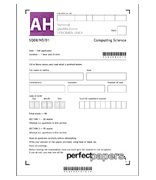 We will check this with the official SQA Centre list and address details to confirm your order is genuine. If you have an official school order please enter your Purchase Order Number here. If you do not have a Purchase Order Number enter 'n/a' or other appropriate text in this box. Once all the required information is entered select the Continue button. All you delivery, billing and payment information will be displayed for your to check before confirming your order. You can Edit any of these using the Edit option provided. Checkout Stage 4 - Finished! Here you can access your order number and also print a copy of your invoice. This confirmation page allows you to select to keep up-to-date with developments for the papers you purchase. Click the Continue button if you wish to place another order or continue browsing the site. You will receive a confirmation email containing the details of your order and you will receive additional emails updating you on the status of your order as it is processed.